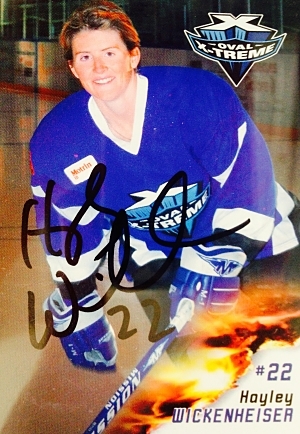 Come on down to West Coast Authentic Memorabilia for May 31 and meet Canadian Olympian Hayley Wickenheiser from 1:30-2:30 p.m. Afterwards Hayley with sign autographs from 4-6 p.m. at Tonics Pub & Grill in downtown Kelowna for a KidSport fundraiser. "We're doing a meet and greet so bring the kids, bring the family and get pictures, pucks and other items signed," says Jason Bobbitt, president of West Coast Authentic. "It's a great opportunity to meet one of the most decorated female athletes of all time. " KidSport Canada is a national not-for-profit organization that provides financial assistance for registration fees and equipment to kids aged 18 and under. KidSport lets kids do what they do best: play. This Canadian organization provides support for children to remove financial barriers preventing them from playing organized sport. By giving kids the opportunity to participate in anything from a hockey league to a swim meet, KidSport encourages an active lifestyle, facilitates healthy socializing, and helps boost self-esteem. 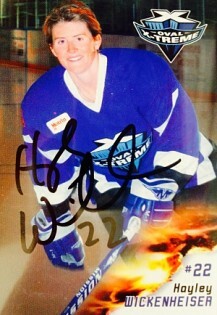 Hayley raises funds for KidSport through the Wickenheiser International Women’s Hockey Festival. In addition to financially supporting KidSport, Hayley spends some of her time inspiring young athletes at KidSport community events. Cost: $25.00 per autograph. West Coast Authentic Memorabilia is located at 1863 Harvey Ave, Kelowna.